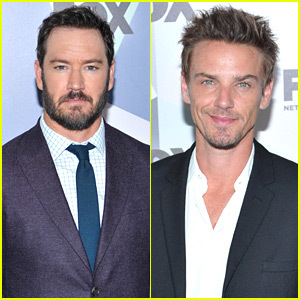 Mark-Paul Gosselaar and Riley Smith hit the carpet to promote their new shows at the Fox All-Star Party held during 2018 Upfronts Week on Monday (May 14) at Central Park’s Wollman Rink in New York City. Mark-Paul was joined by his co-stars from the upcoming show The Passage – Vincent Piazza, Brianne Howey, and Saniyya Sidney. Riley was joined by his Proven Innocent co-stars Rachelle Lefevre, Vincent Kartheiser, Tony winner Nikki M. James, and Russell Hornsby. Both of the new shows will be mid-season replacements! FYI: Mark-Paul is wearing a Strong Suit suit. Leonardo DiCaprio Helps Honor Martin Scorsese with Entertainment Icon Award! Leonardo DiCaprio is dapper in a suit as he hits the stage to give a speech at the Friars Club Honoring Martin Scorsese with the Entertainment Icon Award held at Cipriani Wall Street on Wednesday (September 21) in New York City. 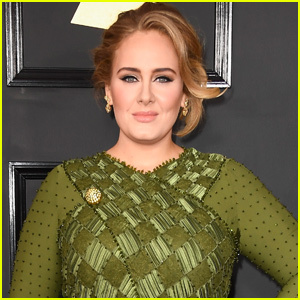 The 41-year-old actor was joined by Ryan Seacrest, Kristin Chenoweth, Sacha Baron Cohen, pregnant Olivia Wilde, Juliette Lewis, 50 Cent, Vincent Piazza, Antoine Fuqua, Kat Graham, Ellen Burstyn, Larry King, Harvey Keitel, Robert De Niro, Ben Kingsley and the 73-year-old filmmaker himself Martin Scorsese. Martin is the seventh recipient of the award in the club’s 100-year history. Past recipients include Tom Cruise, Robert De Niro, Tony Bennett, and Frank Sinatra. 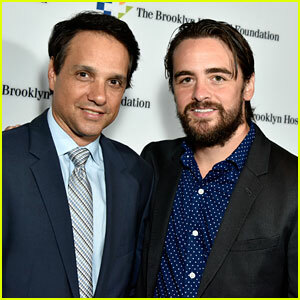 Vincent Piazza poses for a photo with Ralph Macchio while attending the Brooklyn Hospital’s Annual Founders Ball last week at the Barclays Center in Brooklyn, N.Y. The event, organized by Brooklyn Hospital Foundation vice president and chief development officer Deborah Niederhoffer, raised $1,340,950 to improve the hospital’s Fort Greene center. Allison Williams strikes a pose while attending the premiere of Sully held at Alice Tully Hall on Tuesday (September 6) in New York City. 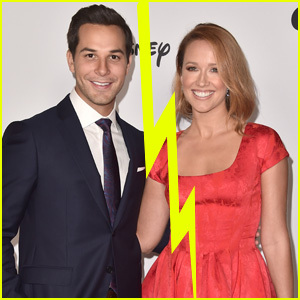 The 28-year-old Girls actress was joined at the event by the director Clint Eastwood and his girlfriend Christina Sandera, as well as the stars of the flick Aaron Eckhart, Mike O’Malley, Sam Huntington, Molly Bernard, Katie Couric and her husband John Molner, and Molly Hagan. Also in attendance to show their support was Darren Criss, Vincent Piazza, Nikki M. James and Gayle King. That same evening, Clint made an appearance on The Tonight Show Starring Jimmy Fallon where he tested out Jimmy‘s new Bonk app – Watch below! Cobie Smulders hits the carpet while attending the premiere of her new movie The Intervention on Thursday (July 7) in Los Angeles. 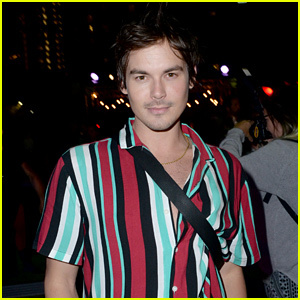 The event served as the opening night gala for the 2016 Outfest Los Angeles LGBT Film Festival. Cobie was joined at the premiere by her co-stars Ben Schwartz, Jason Ritter, Clea DuVall, Melanie Lynskey, and Vincent Piazza. Also stepping out were Wilson Cruz and UnREAL‘s Breeda Wool. 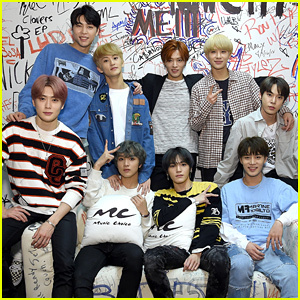 Here is the movie’s synopsis: A weekend getaway for four couples takes a sharp turn when one of the couples discovers the entire trip was orchestrated to host an intervention on their marriage. Neil Patrick Harris & David Burtka Coule Up At Ovadia & Sons New York Fashion Show! Neil Patrick Harris and his hubby David Burtka flash a smile together backstage at the Ovadia & Sons Fashion Show held at Skylight at Clarkson Sq on Tuesday (February 2) in New York City. The handsome couple was joined in the front row by Colton Haynes, Vincent Piazza, New York Giants player Victor Cruz and New York Mets player Matt Harvey at the presentation held as part of New York Fashion Week Men’s Fall/Winter 2016.